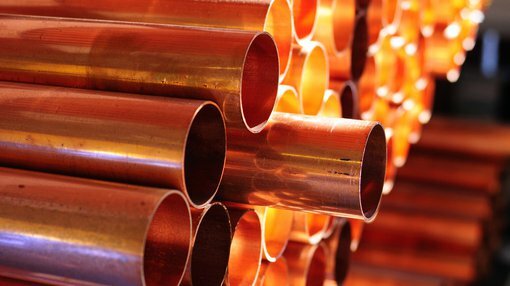 Castillo Copper (ASX:CCZ) today released an update on preliminary diamond drilling results, final assays for drill-holes CC0026-34R, as well as down-hole electromagnetic (DHEM) survey findings that highlight the potential scalability of the polymetallic mineralised system of the Cangai Copper Mine. Having identified several sizeable conductors with the earlier DHEM campaign, the diamond drill team targeted a known quantity near Volkhardts’ lode that hosts massive sulphides from a nearby position to drill-hole CC0023R. 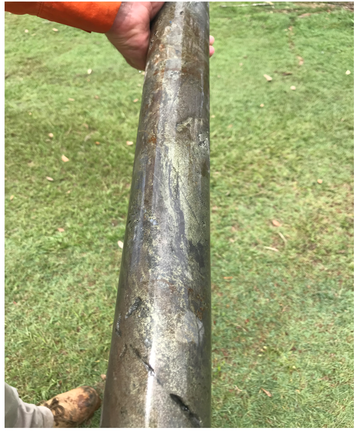 The result for drill-hole CC0036D was a 9.6m mineralised envelope with two highly distinctive intersections that had up to 45% chalcopyrite and 15% sphalerite from a relatively shallow 50m depth. In addition to chalcopyrite and sphalerite, the two massive sulphide intercepts – from 49.9m to 50.8m and 53.1m to 54.3m – comprised pyrite and pyrrhrotite hosted within “heavily bleached dacitic ash tuffs” of the Siluro-Devonian Willowie Creek Beds. All collected samples from the small cap’s latest diamond drilling campaign have been sent to a laboratory for further analysis, with results to be released in due course. CCZ’s Chairman, Peter Meagher, commented: “Exploration at the Cangai Copper Mine continues gaining momentum, with high-grade diamond drill core extracted from a shallow depth. Based on the evidence seen from the diamond drill core and what is already known, CCZ’s geology team increasingly believes that the Cangai Copper Mine is a unique high-grade polymetallic mineralised system. Notably, over the course of the two drilling campaigns this year, the assay results have confirmed considerable high-grade mineralisation at the mine. Drill-hole CC0023R, the standout, delivered results from shallow depth including: 11m at 5.94% copper, 2.45% zinc & 19.1 g/t silver, including 1m at 10.25% copper, 1.68% zinc & 32.5 g/t silver from 48m. In addition, assays for CC0026-34R highlighted consistent high-grade results up to 4.57% copper, 1.41% zinc and 19.1 g/t silver. 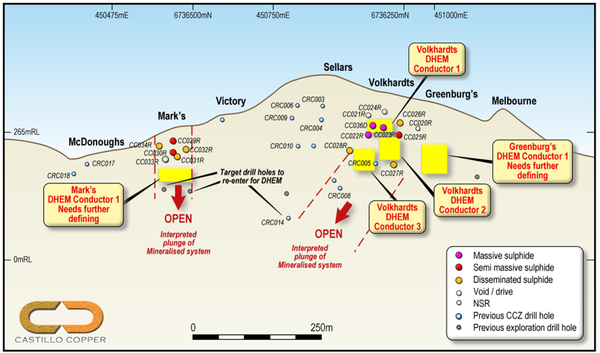 Furthermore, the DHEM survey results have been finalised, with several new sizeable massive sulphide target conductors identified under Volkhardts, Greenburg and Mark lodes, highlighting the mineralised system’s potential to be open at depth. These new targets highlight the potential scalability of the ore body at Cangai Copper Mine and provide fresh targets to be optimised over the rest of the Phase II drilling campaign.